Fotis Georgiadis, owner of the blog by his namesake, is a branding and image consultant with a robust background and a visionary interviewer. With a knack for pulling out a well rounded interview, not only covering cutting edge technologies and corporate directions but he also brings out the personal side of the interviewee. Passage of the Farm Bill in 2018 and subsequent enactment of it on Jan 1 2019 has opened the doors to hemp cultivation across the country. Projections of $20b+ by 2025 from various experts have people purchasing land, labs, manufacturing and production facilities across the nation. Fotis Georgiadis sat down with one such individual, David Bulick, owner of Charleston Hemp Company. Fotis Georgiadis brings branding and corporate image development experience to the hemp industry, and in this case, David Bulick, to differentiate his company from the rest of the hemp cultivators. There has been an explosion of farmland acquisition just for hemp cultivation. To stand out in the crowd, the services of Fotis Georgiadis come in handy. 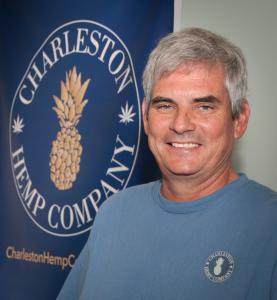 Charleston Hemp Company, in the expert hands of David Bulick, is setting the stage to make a lasting example in South Carolina and across the nation with their focus on quality. “Can you share the most interesting story that happened to you since you began leading your company? When I was working on my plan to acquire the best seed to start with, I did a ton of research and studied the legislation for many states. I ultimately visited Maine, Washington, Oregon and Colorado in one trip, each time placing the seeds I’d acquired in my suitcase. I had all the documentation I thought I needed to stay within the guidelines, but when I flew back to Charleston, I still wasn’t sure if I was going to get in trouble. So I ordered a double screwdriver on the plane just in case it was my last drink. It was very nerve racking worrying about whether someone would focus on those seeds!” – David Bulick speaking with Fotis Georgiadis. Hemp farming is the start of the CBD chain with CBD oil as a product being the end result. 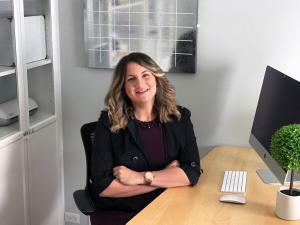 Enter Maya Page, co-owner of OILLY. Getting the word out about CBD and the benefits is important because there is a lot of misinformation out there. 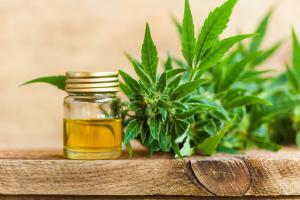 As Fotis Georgiadis found out during the interview, many people find out about the benefits of CBD from doing their own research after experiencing the mainstream solution to any medical problem, prescription medications. “Since CBD is not yet regulated, there is so much misinformation out there. Each company seems to have different labeling techniques and dosing, which, in the end, left me with more questions than answers. With my background in launching businesses, I decided to go straight to the source. Fotis Georgiadis' social media expertise, along with the Maya Page interview, are helping change the perceptions. As a result, factual information will overtake the bogus and inaccurate stories, allowing for more widespread use of CBD by the masses, both on a consumer level as well as medical. As mentioned earlier, the Farm Bill passage is really opening the consumer/retail market with lower prices, more accessibility and variety of products. Medical use of CBD is benefiting as well. We see this with companies like Aurora Cannabis, Inc (NYSE: ACB) that are acquiring key medical grade cultivation and processing facilities. The recent acquisition of Whistler Medical Marijuana, an organic certified products company, is one such example. This is part 1 of 2 articles on Fotis Georgiadis' visit to the cannabis world. By combining real world exposure and discussions with his social media expertise, the benefit to the CBD marketplace will be strong and far reaching. SEO, in-depth interviews, etc are all part of Fotis Georgiadis' arsenal when it comes to image and branding success.